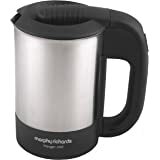 Amazon's Choice for "morphy richards kettle"
Sold by ELECTRONICS MART INDIA LTD (4.1 out of 5 | 143 ratings) and Fulfilled by Amazon. Gift-wrap available. 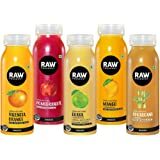 Sold by ELECTRONICS MART INDIA LTD and ships from Amazon Fulfillment. Perfect for tea lovers, this electric kettle features an innovative temperature control system for easily heating water to a specific temperature. 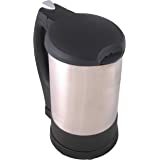 The corded design allows the kettle to be lifted from its base and a locking lead with a unique trigger button on the rubberized handle to ensure safety and easy fill. It turns on (or off) with a simple push of a button on the handle. 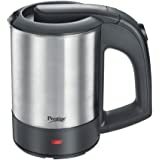 It has a spout for easy fill water auto shut off function, Neon power on indicator and carries a 2 year guarantee. 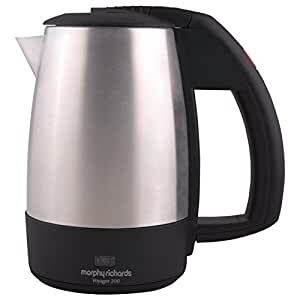 It is now extremely easy to make tea in a jiffy, courtesy this excellent offering from Morphy Richards! No wonder it will be a highly valued addition to any modern-day household. If you want to save time and energy, bring home the Morphy Richards Voyager 300 Kettle. 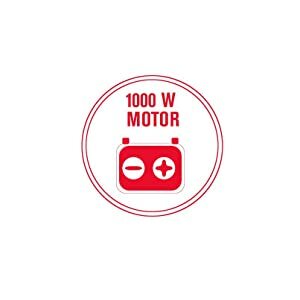 The 1000W motor of this appliance makes sure that it uses just about the optimal amount of electricity required for it's smooth operations. Further, it has a capacity of 0.5 litre. 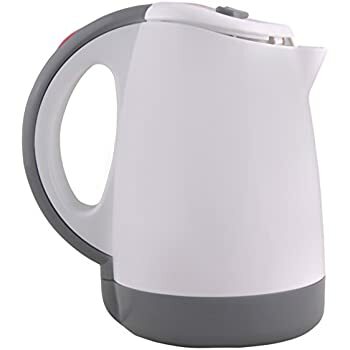 The Voyager 300 Kettle automatically cuts off the electricity supply when it attains the required temperature. 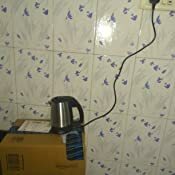 Further, it can also detect if there is no content inside the kettle and accordingly, it cuts off electricity. Thus the heating elements last for years to come. This feature ensures higher portability so you can carry the kettle anywhere you like. 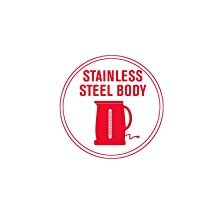 Thanks to the stainless steel body, you can use the appliance in a sturdy and rough manner without running the risk of causing any damage. 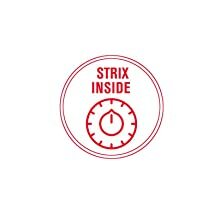 This lets you touch the device anytime, irrespective of the heat inside. 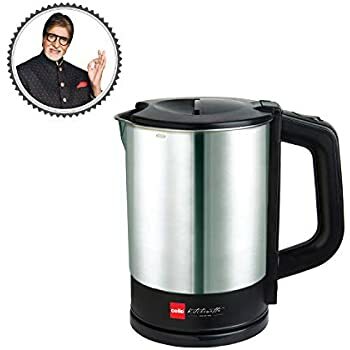 With this feature, you can check the level of water inside the kettle, and thus, use it in optimum manner. 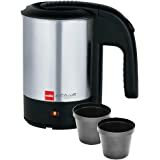 "The corded design allows the kettle to be lifted from its base and a locking lead with a unique trigger button on the rubberized handle to ensure safety and easy fill." 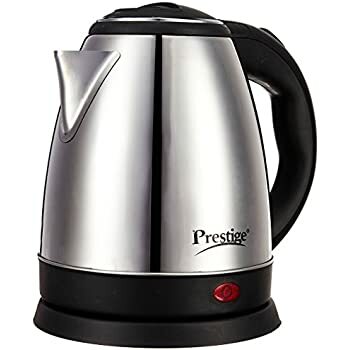 This is not a cordless kettle with a base and separate kettle. 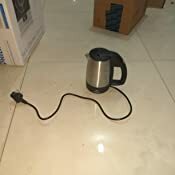 It is one piece with the cord attached to the kettle. 3.0 out of 5 starsHigher cost for the product. 1. 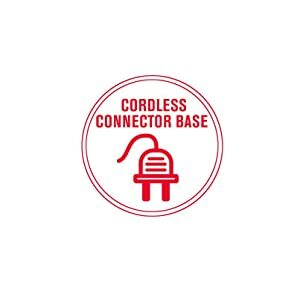 No cordless base. Cord is permanently attached! 2. 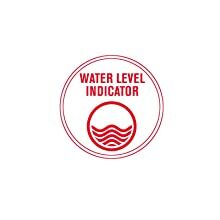 No level indicator as written. 3. No cool body. It get heated up within 5 minutes of boiling the water. 4. There is nothing like 1000W motor inside. The plastic doesn't look like long lasting and suspect that the lid will not last longer than 100 uses. 1. 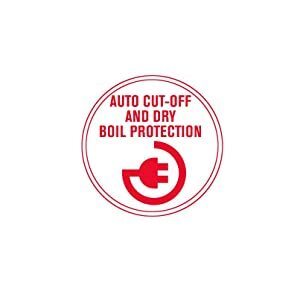 As per product description the kettle automatically shuts off after boiling but nothing like this happens. You need to switch off the switch to stop the operation. 2. The water boils super fast. 1. Real quick in boiling water. 2. 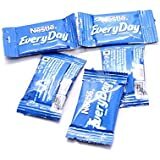 Light weight, easy to carry while travelling. 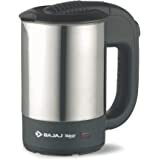 The product serves the purpose of boiling water very well. 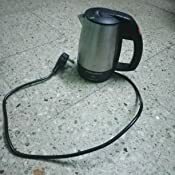 The only minor limitations are, the chord is slightly short and the device cannot be manually switched off using the reset button, the water boils and it gets automatically switched off. 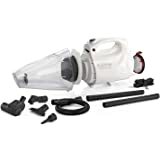 Earlier I purchased the similar product with plastic body two years back still it is working. I heard that plastic is not good for health. hence purchase similar capacity with steel body. 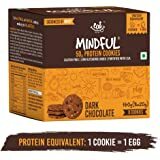 I found, the product is best & serving my purpose. It is overheated due to which it’s inner body burns & it’s colour turned to brown. 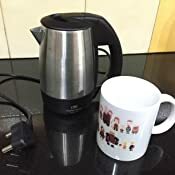 I like this portable electric kettle ,it doesn't take much time to boil water,but sadly I got a defective lead of this product,I ordered for emergency used that's why I don't have time to replace anyway I'm happy. 3.0 out of 5 starsPoor quality of plastic used for cover and other parts! The quality of plastic used is of very poor. I had another Kettle of the same coy and same model earlier too. But the quality was much better. Either this kettle is fake or Murphy Richards quality has gone down.